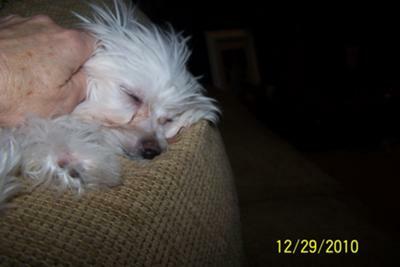 Mia is a beautiful 3lb 10oz 8 month old Maltese. She is my beloved companion and she joins me in many outings. She is trained to go on a puppy pad inside and also goes potty outside. She brings so much joy to me it is hard to explain. My 14lb. 7 year old Norwegian Forest cat, Kia, (who lives only inside our home) & Mia have become friends. They romp, share the same water bowl and watch the world outside from the doors. They have both brought me much happiness. 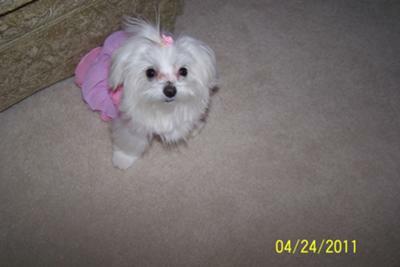 Two months ago I lost my almost 11 year old toy Maltese Scooter to heart failure. His little heart unexpededly just gave out and I am still in horrible shock at the loss. He was my constant companion, gave me such constant joy and filled a huge void in my life with my grandkids all grown up now. I have been in such grief I still can't take walks where we walked every day. People on the street knew Scooty's name even if they didn't know mine, he just made friends everywhere. It would take me forever just to walk a block anywhere because people would stop to pet and talk to him. 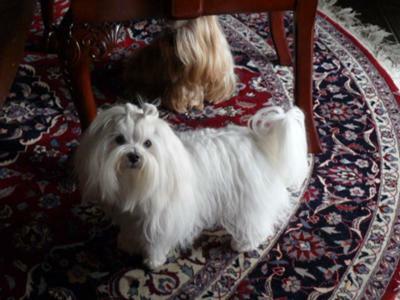 I am now thinking of rehoming a Maltese that some people are giving up because they are moving to another location where they can't have a dog, my only reservation is that they say he is 8 months old and weighs 9 lbs. Does that mean he will get bigger because I can't have a large dog. He looks just like my darling Scooty. Not sure what to do. Join in and write your own page! It's easy to do. How? 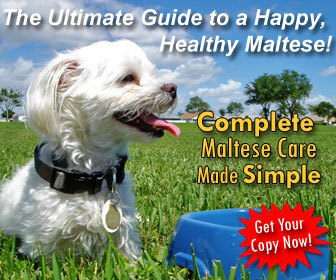 Simply click here to return to Your Maltese Puppy's Weight. Our little bundle of energy and joy weighs 3lbs 7oz at 15 weeks. 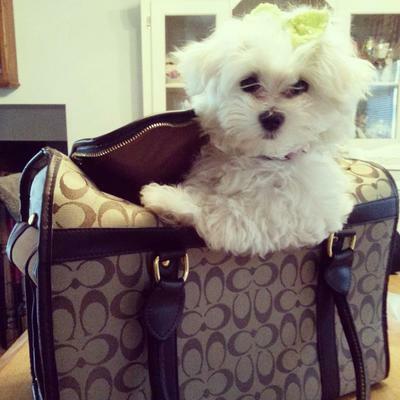 This seems like a very good Maltese puppy weight. She is healthy and filled with lots of chasing, fetching and tugging vigor! 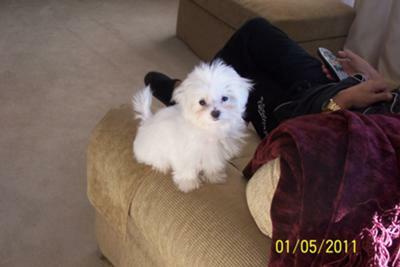 I have a Mal-shi puppy that is 7 lbs he will be 5mths old on 2/15 how big will he get? Onyx is a cutie pie!! My Malishi is 5 years old and she weighs 10 pounds. Her name is daisy and she is the love of my life!! 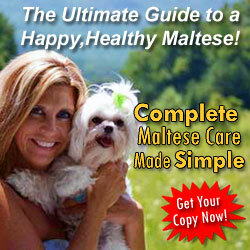 Hi Tammy, your Malshi will probably be around 9-10lbs full grown. 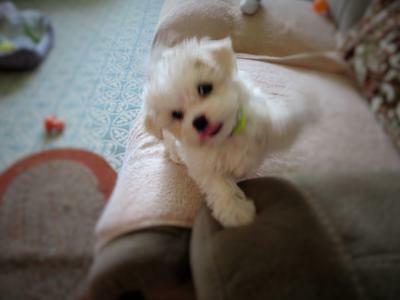 That's still small, but larger than most purebred Maltese. He's a cutie and I LOVE his name, so fitting! 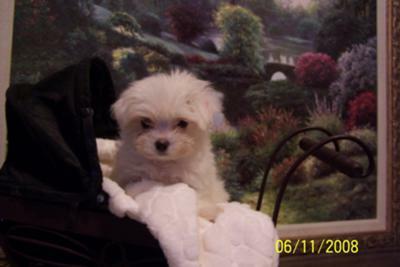 When we got Cody Bear, he was 12 weeks old and was very small... One pound, seven ounces. This is slightly under the smallest column in the chart. He has stayed pretty much in that column. Now, at 21 weeks, he is slightly more than that smallest column at 2 lbs 14 ounces. He is healthy and oh so sweet and loving! We love him so much. Everyone says he is the cutest dog they have ever seen. Lola came to our lives when she was only 7 weeks old and her weight was 2 pounds. Cute little puppy . We start feeding her soft diet and she wasn't very good with food. Till today she eats moderate. Now Lola is 20 weeks older and has grown a lot but is still our small baby. Lola is friendly, very easy to be trained . From the beginning we had no trouble to toilet her. Now she's used with us and with the rules of the house. She's confident and just barks when some strange comes along or when she's playing hidding and sick with my daughter. Who is Lola's mom. I am the grandmather. I feel so happy having Lola. Suffering of anxiety I found after Lola that I am much better. She loves being dressed and I enjoy my free time doing clothes for her. She was a perfect addition to our family and I am thinking already about giving her a new brother or sister. 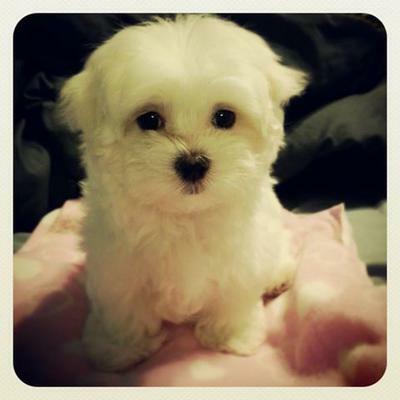 The Maltese puppy weight chart was pretty accurate for my Maltese puppy. She was 24 oz at 8 wks, 56 oz at 16 wks, 66 oz at 20 weeks, 82 oz at 40 weeks, and hit her full weight of 86 oz (5.6 lbs) at 47 weeks. This was her full weight at 1 year old. We just had Bella weighed at her vet she is 18 weeks old and weighing in at 4.9. My vet says she is perfect, not under weight or over weight. I feed her 1/4 cup of Blue Buffalo twice a day. A real sweetheart Bella is already housebroken she sits, and rolls over. 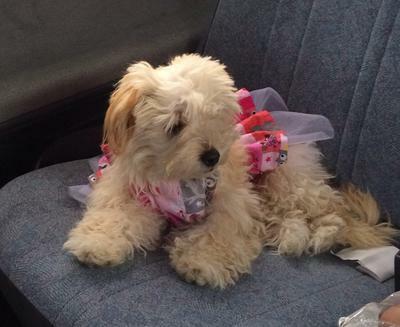 My Maltipoo puppy is 6 months and she is tall. When I got her at 8wks she was probably 4-6 lbs and slowly put on weight. 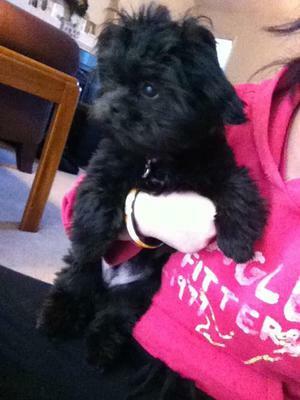 She is double the size of a normal sized Maltipoo. Last time I weighed her she was 11.5 lbs (March). As of now I believe she has gone up in weight and might be 15lbs or a lb over (idk). 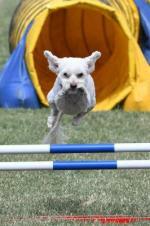 I was told by my vet that, that will be her max since she's a tall Maltipoo. She doesn't over eat and I have her on Nutra (dry food) and sometimes mix it with canned food (which she loves!). After reading Lucy's post about her pups weight I feel a bit better. 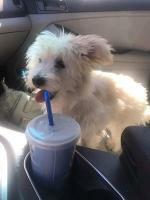 I thought I had an obese pup :-) and was getting scared after reading the article and looking at the puppy weight table. I believe as long as your dog gets enough exercise that they need you should be fine. Now I have to maintain her weight whatever it is. My precious baby Toby is 16 weeks old and weighs 4.8 lb. He is slightly above the norm, but he is far above perfect to me. 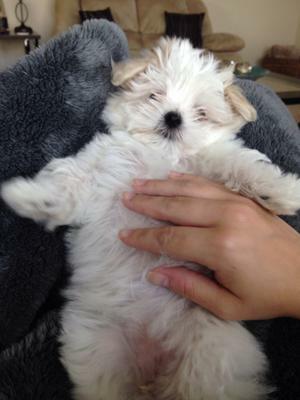 Ellie Mae loves getting her belly rubbed! Ellie is 9 weeks old and weighs 1.8 lbs. She's such a good puppy! This is my first puppy and I am so in love. This picture shows her enjoying belly rubbing time!! Oooh! What a happy little girl. She's darling! What a precious little furry bundle!! You will have so much fun with this little sweetie!! She is now 14 weeks and weighs 3 lbs 7ozs. I am thinking she will probably be around 6-7 lbs. The perfect size for us. She is so smart and learned to sit and stay and "wait" and "No-no" (all in a normal voice- no raised voice) at 8 weeks. She is so eager to please and loves to play... She is actually one of the best dogs we have ever had and we have had many in our 50 years of marriage. She has the black and white coloring with only one black eye (and one white) and is so adorable. Coat and face is just like the Maltese. 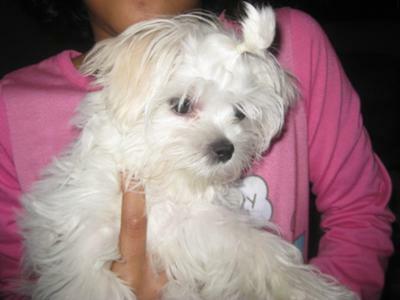 The Maltese breed has always been my favorite but our last baby girl was a Maltese-Shih-Tzu and lived 18 years so we had to go with this mix. Is there anything more adorable? I think not! Love this web site! Dory Glory has recently been spayed and did ok except no one tells you how very constipated they often are after surgery. I guess I should have known. it took daily pumpkin and daily small amounts of mineral oil for her to "go" and that was after almost 4 days. I would know now to start the pumpkin and very small amounts (tiny drizzles) of mineral oil right away. She would not drink water and I had to "push" that with a syringe also which helped. Thought that might be helpful for some in estimating weight. She was 1 lb 5 ozs at 7 weeks... She is still the sweetest and most adorable pup we have ever had and our delight!